You can always repurpose old things into something cool and handy easily and quickly. It isn’t necessary to have any special talent or skills. All you need to provide old things with a new life is a little imagination and time. Earlier we have already written about a creative mother and daughter who reproduce the celebrities’ images with the help of the household goods. 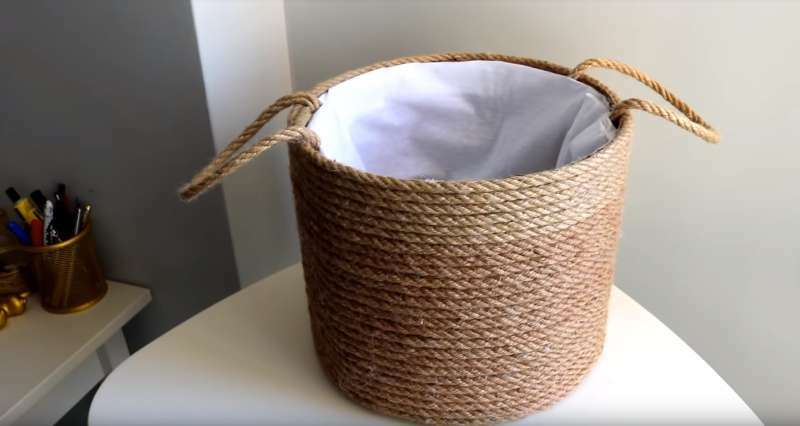 Today, we want to share some simple tips on how to make a beautiful basket for various things. READ ALSO: Crazy DIY Idea: This Baseball-Shaped Chair Tutorial Is A Home Run! First, you will need a cardboard box. 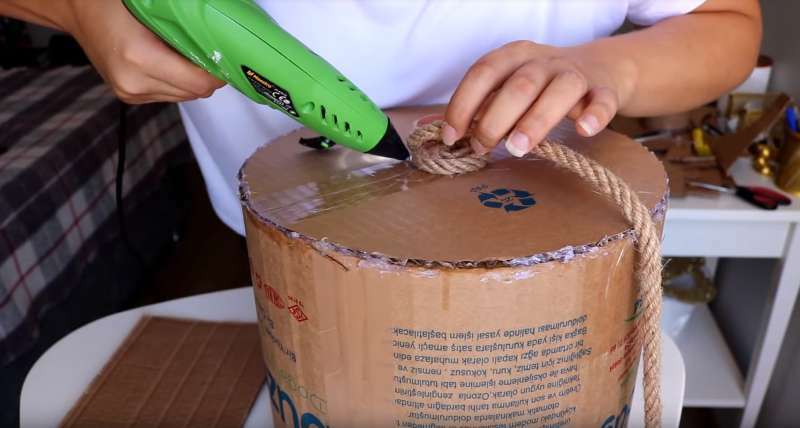 Cut it into the necessary parts and make a cylinder with a bottom, sticking the parts together with tape or glue. Take a rope or a thick string. 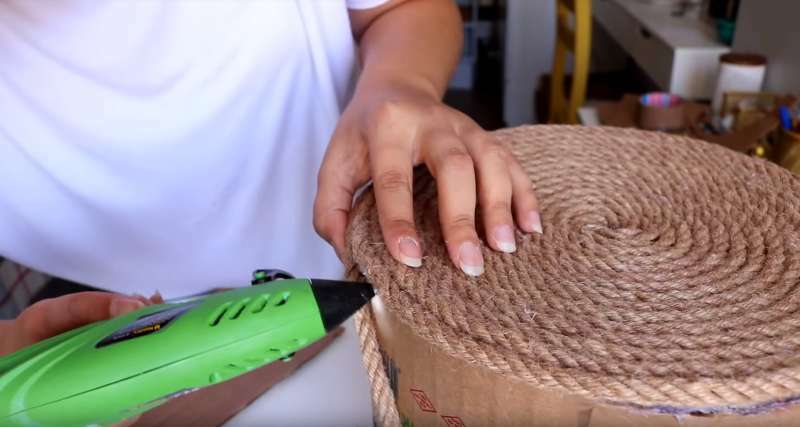 Then using a glue gun, fix the end in the center of the bottom of the future basket and twist the rope in a tight circle, securing generously with glue. When the bottom is finished, proceed to the outer surface of the cylinder. Make handles for the basket with pieces of rope and liquid nails. The edges can be secured with duct tape. 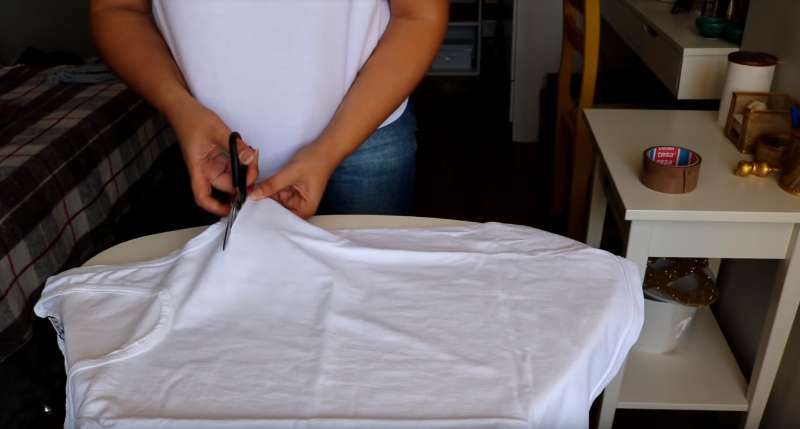 Take an old T-shirt and trim the top part with the sleeves. 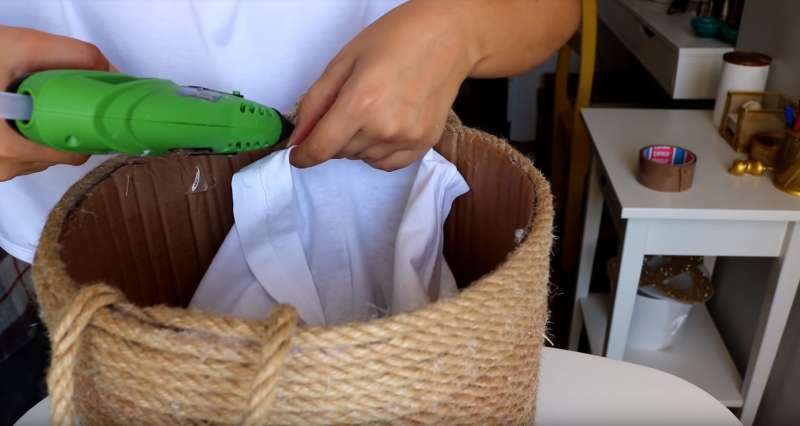 Place it in the cylinder and glue the edges of the fabric with the edges of the basket. Straighten the shirt with your hands! This is it – you're done! Here, you can store anything – children's toys, products or bath accessories. 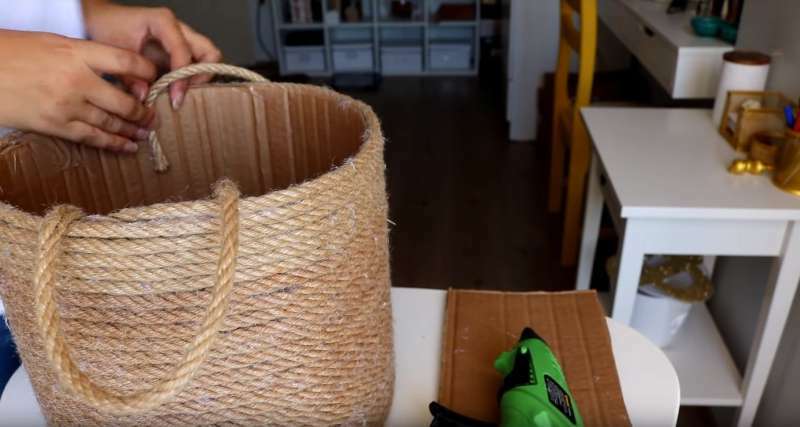 Share this cool DIY lesson with your friends to let them know how to make a useful rope basket as well!